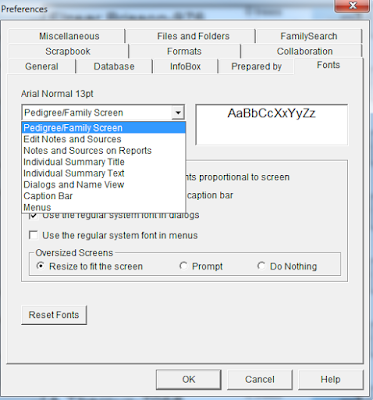 Ancestral Quest comes with various default settings that affect the way you view everything inside the program. 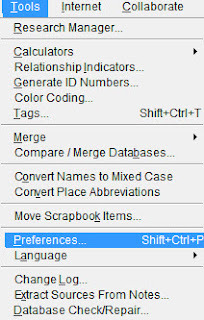 Once you choose the area you wish to adjust, click on the Change and all the options to change the font will be there for you to make that adjustment in the program. 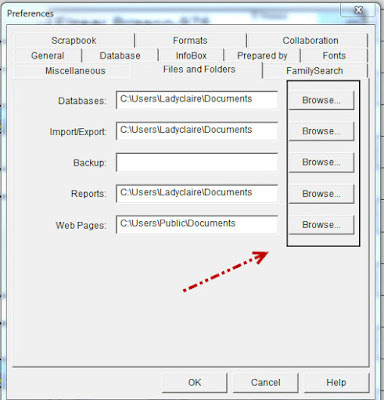 Once you have used the 'Browse' feature to change where you want specific file types to go, you click OK and from that point those files will be placed there. Customizing the program to your own needs can be difficult when one doesn't know exactly how to change the default settings. If needing to change them this is the way to handle it. 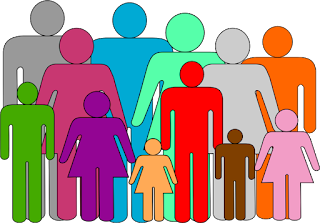 Ancestral Quest user groups are organized to help members with the software, share interests, ideas, knowledge, concerns and family history. Collaboration is another word for team effort. Great things happen when individuals work together, help one another and learn from each other. AQ does have a collaboration tool, however, often individuals enjoy getting together to share the latest discovery, learn how to use a new feature or discuss new records online and how best to access them through Ancestral Quest. 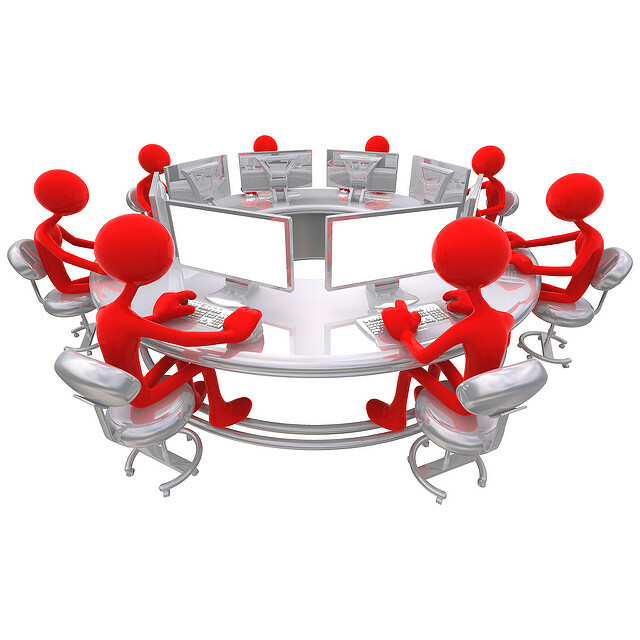 If you are interested in joining a group in your area and do not find one close to you or you would like to start a user group, please email us at Customer Service. 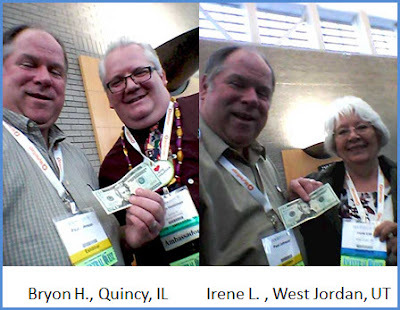 Congratulations to Our RootsTech 2016 Winners! 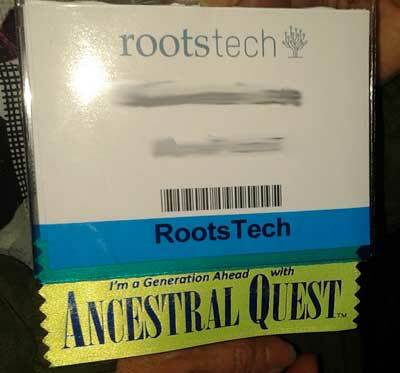 For RootsTech 2016, our booth had these cool "Ancestral Quest" ribbons for conference attendees to add to their name badges. 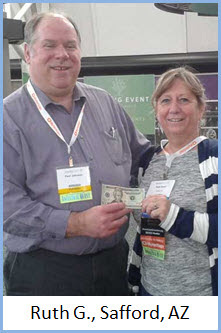 Each day we had a spotter go out into the conference classrooms area and award a lucky person wearing one of our ribbons with a crisp $20 bill. Here are our lucky winners! Congratulations to all of our winners! Thank you for sharing your support of Ancestral Quest at RootsTech 2016! In our day to day life, relationships can change in a moment. 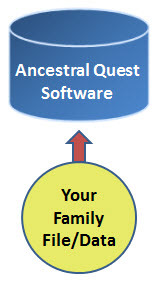 Setting the relationships between parents and spouses is easily done in Ancestral Quest. Once the relationship has been set, click on OK and you are set for that child. If there are more children then repeat the steps till all the children's relationships involved have been labeled correctly. That is how simple it is to set the correct relationships! Understanding how computers and software works can be a challenge for many people today. There are so many different kinds of computer terms that it gets confusing. Sometimes individuals "avoid software updates" because they think it will affect their data, somehow the data files and the software are considered as one in their minds when in reality they are separate pieces of the way a computer program works. While most understand the hardware is the device you are using, the software program actually tells the device what to do so you can proceed with what you are working on. Whether it is a letter, a spreadsheet or some other task, the software program allows you to accomplish it. 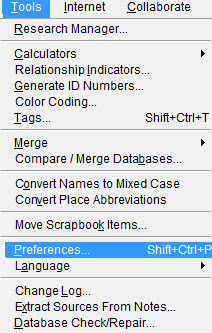 When you double click this Icon it will open up and walks you through setting up your family file/data. From this point on you continue to work with the program. While doing this, the file remains just a file that can only be used by your program. When you receive notice of updates, they only affect the software and not the family/data files. Usually updates are there to improve the functioning of the software which is to your benefit. If you change computers, you will have to move those family/data files and re-install the program onto the new computer in order to continue using it and growing your family tree. 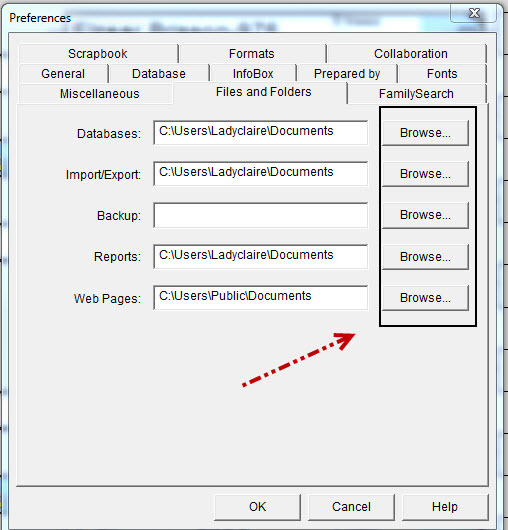 Using a flash or thumb drive to copy your files is the easiest way to do this this. Re-downloading the program can be done from the website here: Download Page. Enjoy the program, remember to do the updates and watch your family tree grow!